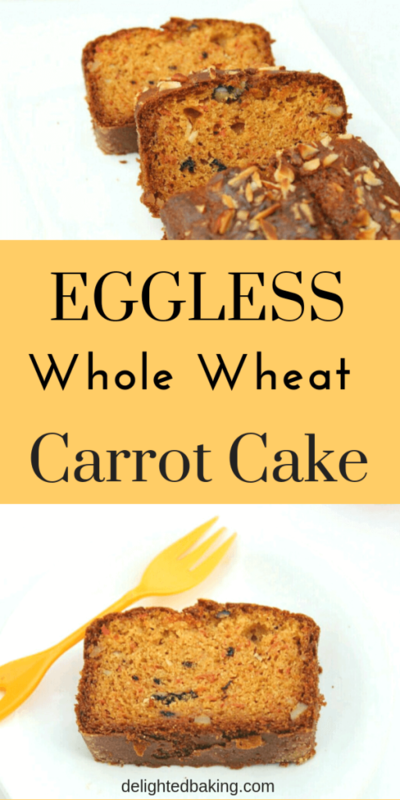 Eggless Whole Wheat Carrot Cake | Carrot cake without eggs: Easy & Simple whole wheat cake! This carrot cake is soft, super moist and full of flavor! Carrot cake is one of the ancient cake recipes, loved all around the world. 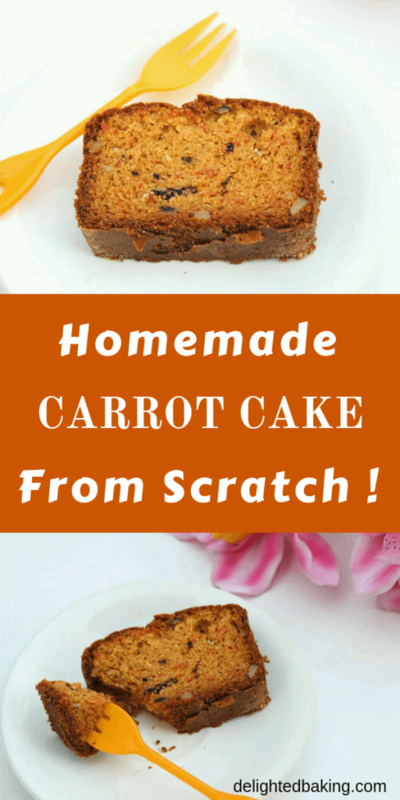 If you are looking for an easy and simple eggless whole wheat carrot cake recipe, then you are at the right place! 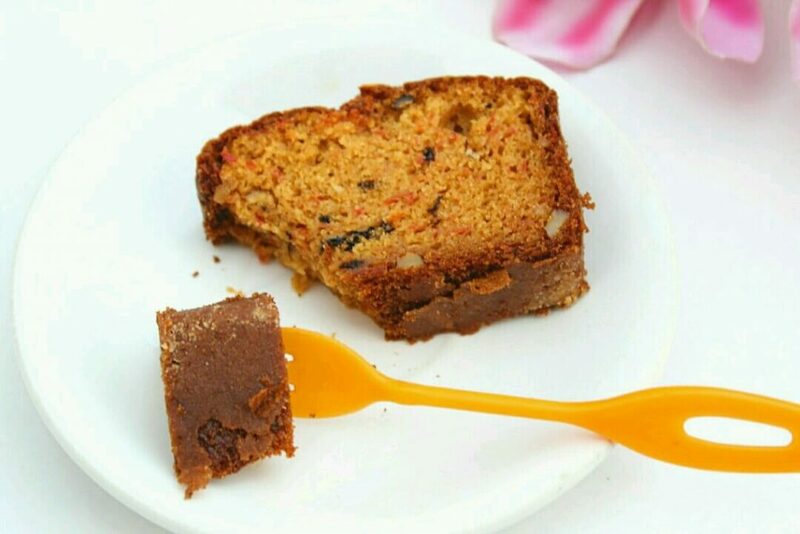 If you want to bake a carrot cake without eggs, then this recipe is perfect for you. This cake is super moist and it is made using easily available ingredients. No Hand Mixer or Stand Mixer required : You don’t need any fancy baking tools for making this cake. You can literally just use a hand whisk to mix the ingredients. 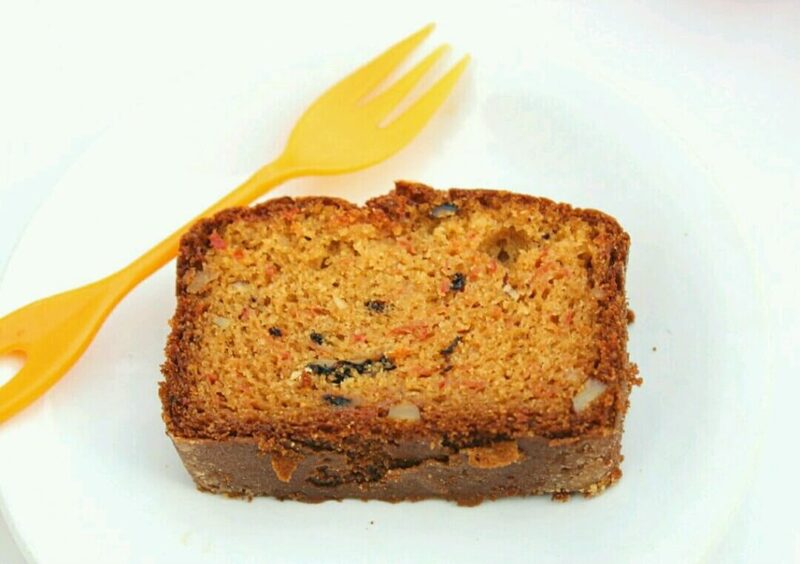 Basic Ingredients : This carrot cake doesn’t require any fancy ingredients like condensed milk. This cake is prepared using easily available ingredients. ( You will probably have most of the ingredients already in your home). 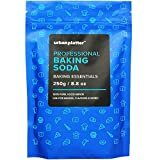 If you are new to baking, I’ll suggest you to read some important and useful posts in the BAKING BASICS FOR BEGINNERS SERIES. These would help you in getting started with baking. 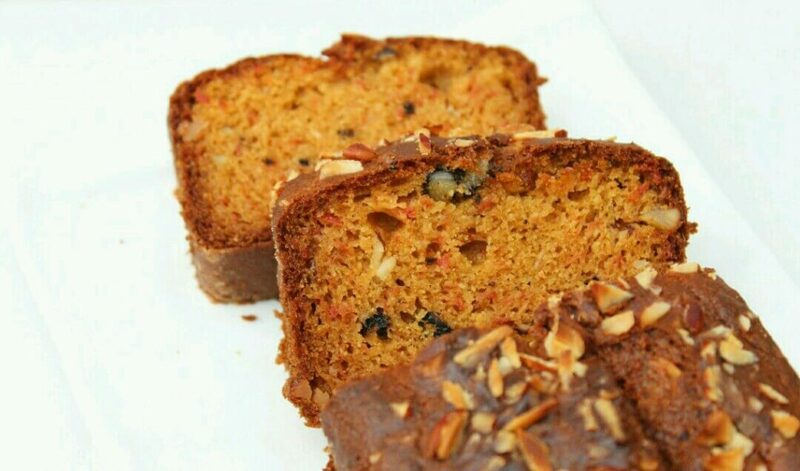 This carrot cake is prepared using whole wheat flour and not all purpose flour. Thus the addition of whole wheat flour makes this a healthy cake. This whole wheat carrot cake is perfect for quick breakfasts. You can also give this cake to your kids as a after school healthy treat. So, the last two ingredients are optional. But I’ll recommend you to add both of these (if possible). Traditional carrot cake contains both of these ingredients and they give a really nice flavor to the cake. Use powdered sugar for this recipe. If you don’t have powdered sugar, then simply prepare it at home. 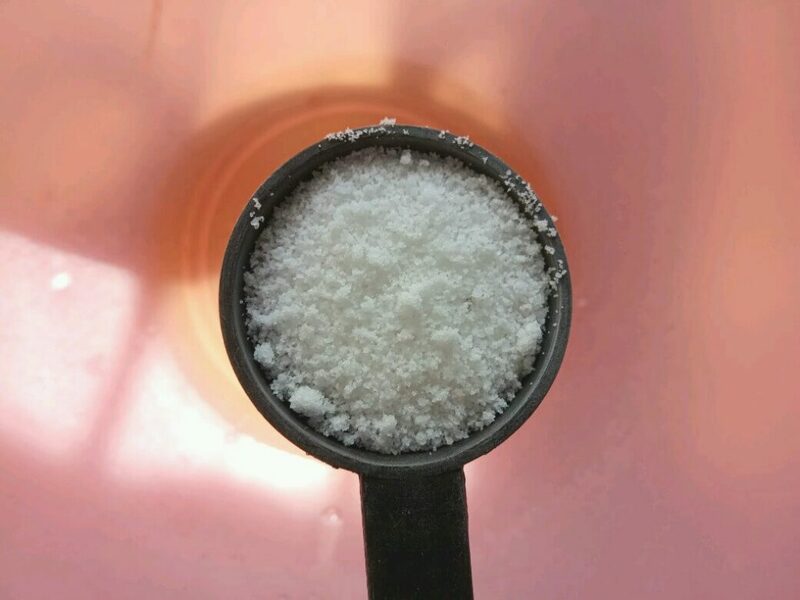 For this, add the regular granulated sugar into a blender jar and blend till you get a fine powder. Measure this and use. You can either grate carrots using a grater or a food processor. Both works well. 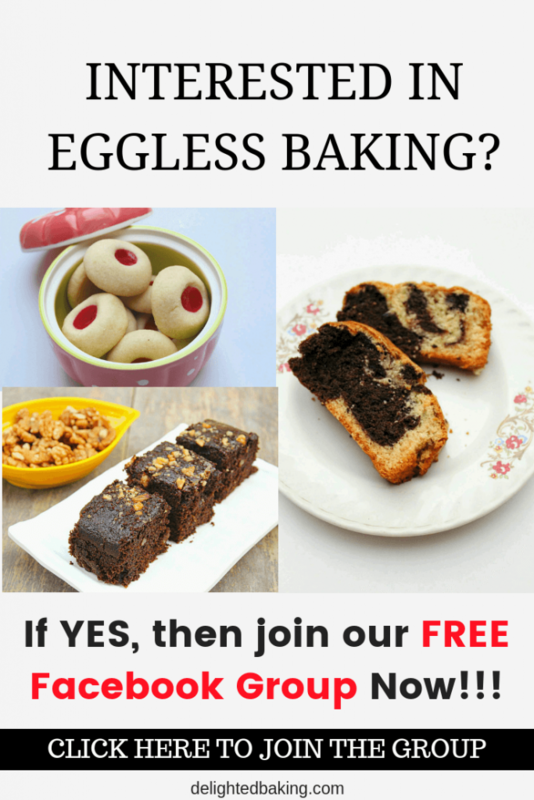 How to make eggless carrot cake with wheat flour? In a mixing bowl, add oil and sugar. 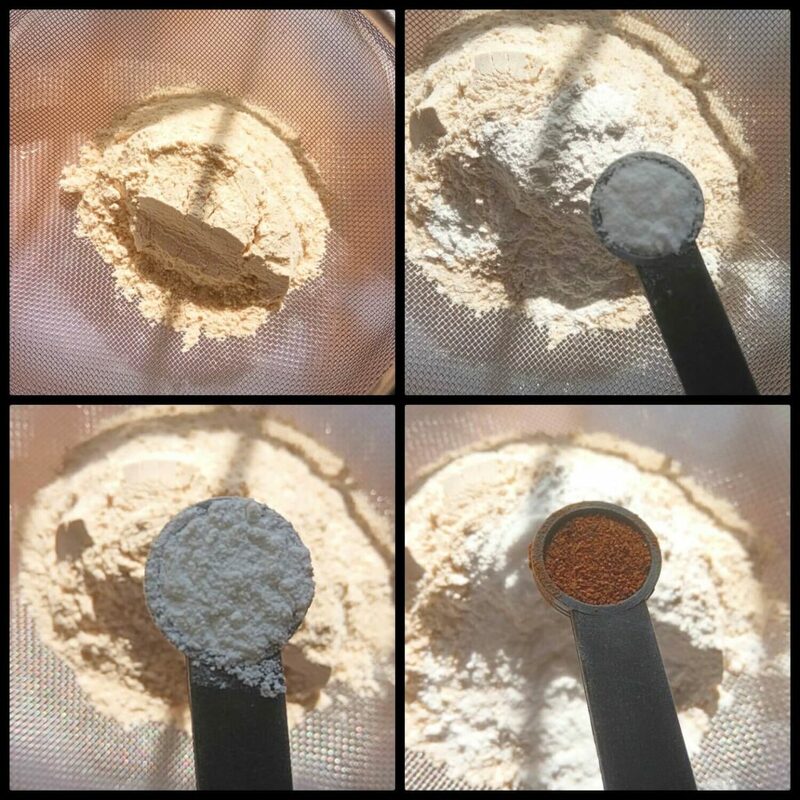 Mix with the help of a hand whisk for 2 minutes. Now add the curdled milk into the oil and sugar mixture. Mix nicely. In separate bowl, put a sieve. Add whole wheat flour, baking powder, baking soda, cinnamon powder, ginger powder and nutmeg powder. 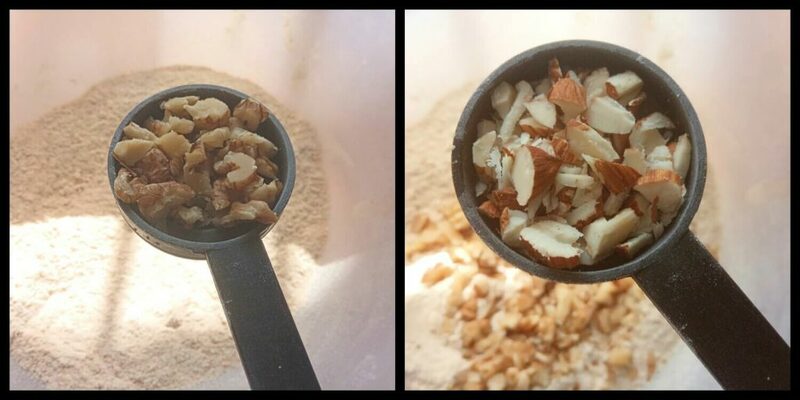 Add chopped walnuts, chopped almonds ( or other add ons) into the dry ingredients and mix well with the help of a spatula. This is done so that all the add ons get coated with flour and doesn’t sink to the bottom of the cake while baking. Now mix dry ingredients with wet ingredients. Add 1/4 cup milk. Mix well. Add grated carrots. Mix nicely. The cake batter is ready! Add cake batter into the cake tin. Bake at 180 C / 350 F for 30-35 minutes or till a toothpick inserted into the center of the cake comes out clean. 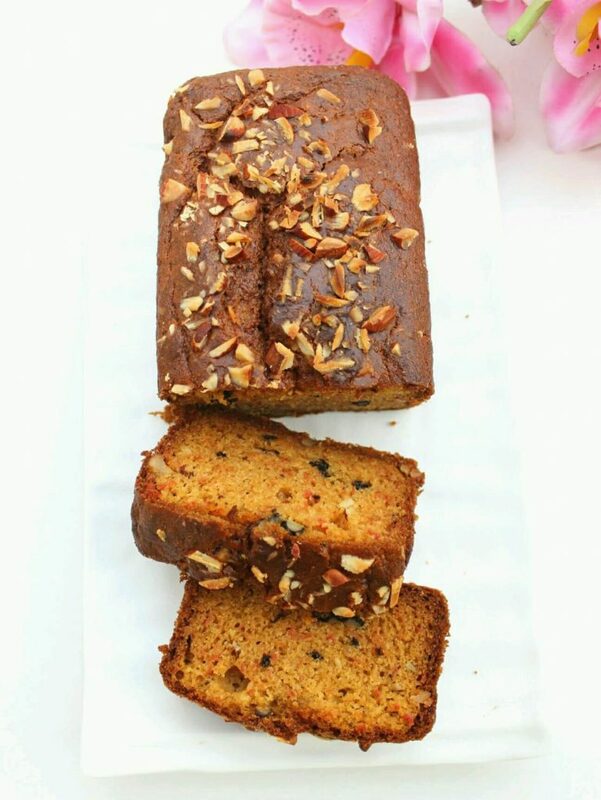 As this cake is made using whole wheat flour, this healthy and can be eaten in breakfast. 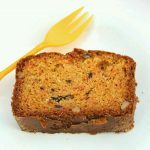 You can also give a slice or two of this whole wheat carrot cake to your kids in their lunch box or as a quick breakfast. Do try this recipe. If you have any questions, feel free to ask them in the comments below. 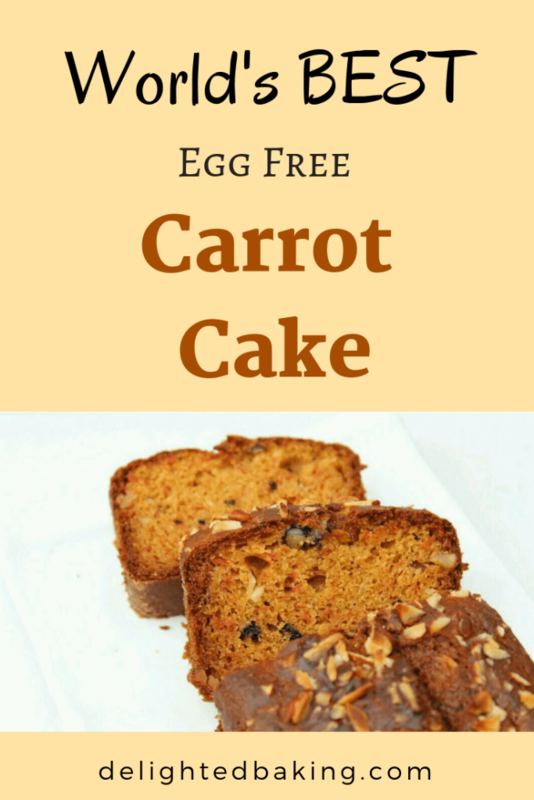 Eggless Whole Wheat Carrot Cake : Learn to make the world's best carrot cake. Easy, moist and full of flavors! Pre heat the oven at 180 C / 350 F for 10 minutes. Now mix dry ingredients with wet ingredients. Add 1/4 cup milk. Mix well. Also add grated carrots. Mix nicely. The cake batter is ready! Add cake batter into the greased cake tin. Bake at 180 C / 350 F for 30-35 minutes or till a toothpick inserted into the center of the cake comes out clean. If you like the recipe, then don’t forget to PIN IT ! I tried baking carrot cake it took a long time to bake, the toothpick came out wet. What can be the reason, should I draine the water out of carrots? No. There’s no need to drain the water out of carrots. There might be some other reasons if the cake took so long to bake. Make sure you are using fresh baking soda and baking powder. If any of these is old (or expired), the cake won’t rise and would take long to bake. Also, make sure you are baking at the right temperature. Don’t open the oven door again and again as that leads to loss of heat inside the oven and this can cause this issue. You’ve mentioned 1/4 cup milk to be added. Is it 1/4 cup milk with vinegar ? Or extra 1/4 cup milk along with the milk & vinegar mix ?? If that’s so ,then is it 1/2 cup of milk in total ? Yes. It’s 1/2 cup milk altogether. 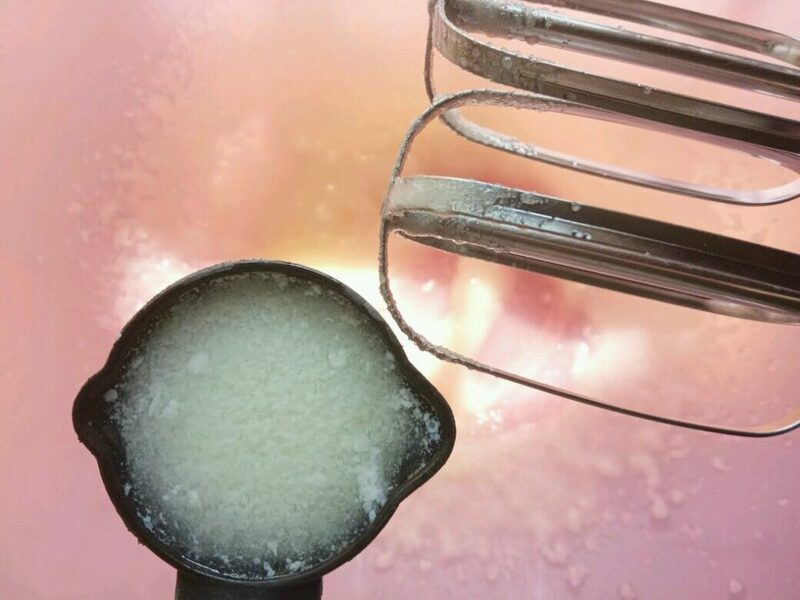 1/4 cup milk is to be mixed with vinegar. And 1/4 cup milk is to be added in the cake batter later on. Thank you for such a lovely recipe. Hi. Use 1/2 cup + 2 tablespoons of jaggery in place of 1/2 Cup sugar in this recipe. Just chop the jaggery roughly and add it to room temperature butter. Beat properly till jaggery and butter mixes properly. Rest of the process would remain the same. 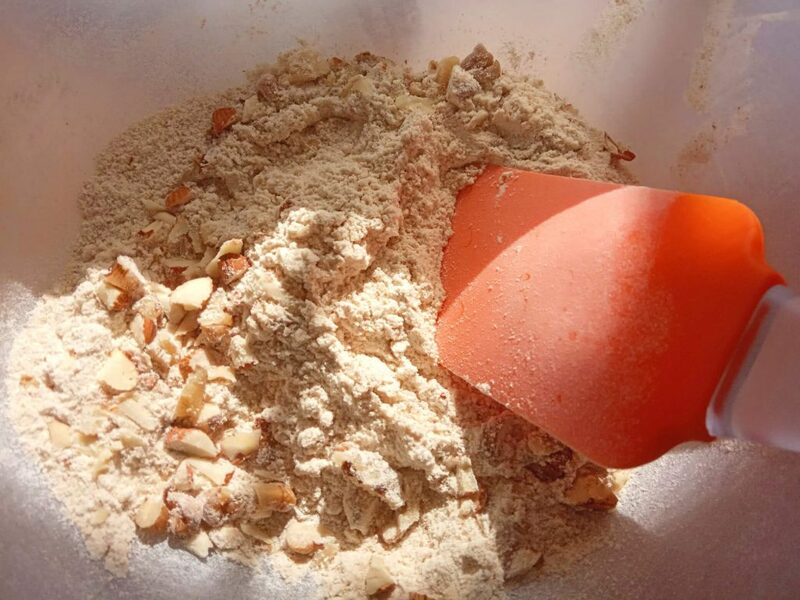 You can also powder the jaggery for making the process easier. 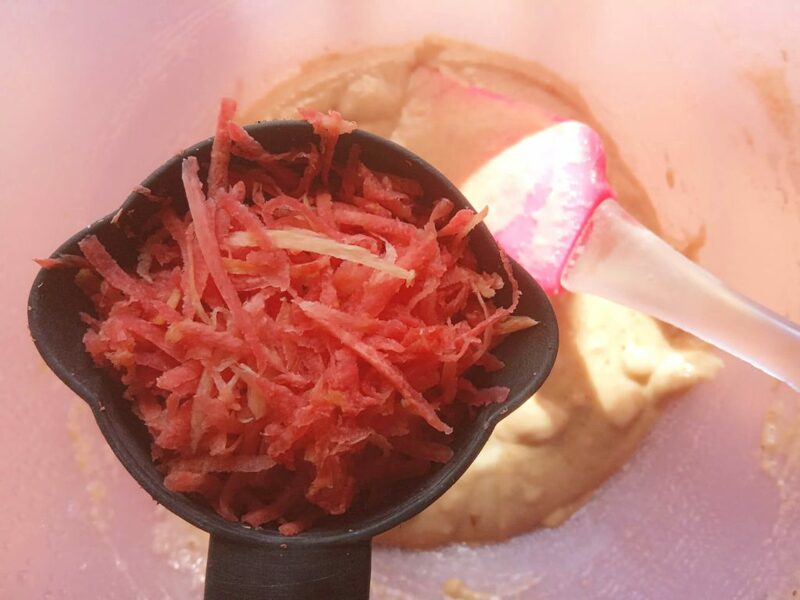 Roughly chop the jaggery and blend it in a blender jar. Now use this jaggery powder in place of sugar.